Like the perfect, golden child, born from a union between Jan Hammer and John Carpenter, Synthwave is one of the hottest electronic genres of the moment. Artists such as Mitch Murder and Powerglove have raised its profile, with guys like TimeCop1983 and FM-84 (who have both provided demo tracks for Diva Synthwave) continue to keep it fresh and alluring. Synthwave’s influence can even be heard in the cinematic work of M83, Cliff Martinez and Trent Reznor. 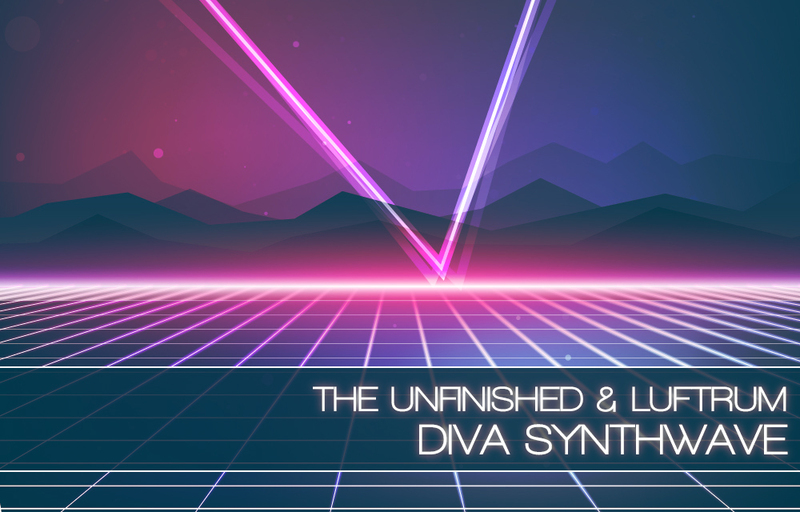 Diva Synthwave provides 128 patches for u-he’s Diva, glistening with 80s nostalgia and dripping with analogue warmth. Chunky bass, smooth pads, flickering keys and lush leads, with that unmistakable synth cool. We have taken our love for the genre and given it our very own contemporary twist, providing all the sun-kissed retro joy necessary, but with an added touch of our own inimitable imaginations. If your head is full of thoughts of Amigas, betamaxes and white men doing kung fu; the music of Vangelis and Tangerine Dream; films such as Breakfast Club and Beverly Hills Cop; and if you’re writing synth pop, outrun music, or just want a hint of that retro, analogue magic in your music, then Diva Synthwave is for you. Diva Synthwave is available exclusively from Luftrum’s website for $39 (inc. VAT), but will be 20% off until the end of July with the discount code summersoundofthe80s.